Hannah Jones (MSc Environmental Technology, BSc Geology) the main contact for the Atlantic area for the European MSP Platform. 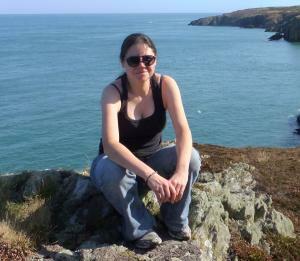 Hannah is a Research Project Manager at the University of Liverpool and has worked on numerous European funded projects including the Celtic Seas Partnership project where she was involved in the development of Natures Services and the Sea: A resource pack for marine and coastal stakeholders. She has been a fully qualified Prince2 practitioner for over 5 years. In addition to her work for the EU MSP Platform, she is currently providing technical assistance for the Erasmus Strategic Partnership for Marine Spatial Planning, as well as being involved with the Horizon 2020 project AQUACROSS which aims to support EU efforts to protect aquatic biodiversity and ensure the provision of aquatic ecosystem services. She is also working on an ecosystem services evidence matrix for the EEA European Topic Centre for Inland Coastal and Marine waters.